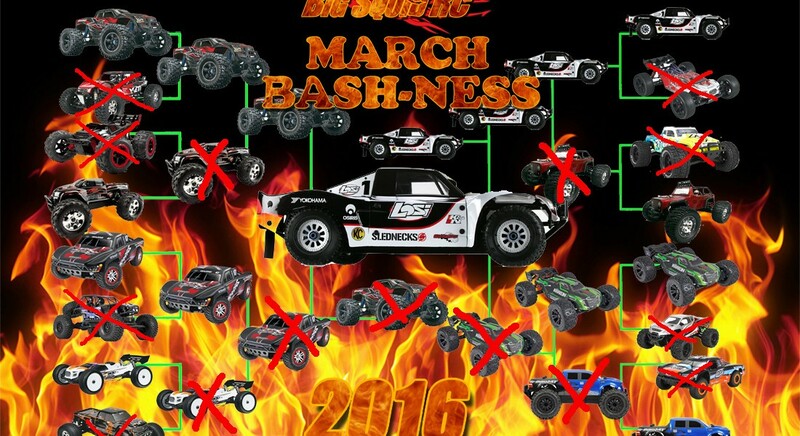 March Bash-ness 2016 Winner – Losi 5IVE-T « Big Squid RC – RC Car and Truck News, Reviews, Videos, and More! In what was a truly epic final battle, the Losi 5IVE-T from Horizon Hobby pulled off a win over the Traxxas X-MAXX in the final round of voting from our readers. Watching the votes pour in on the last day was crazy. 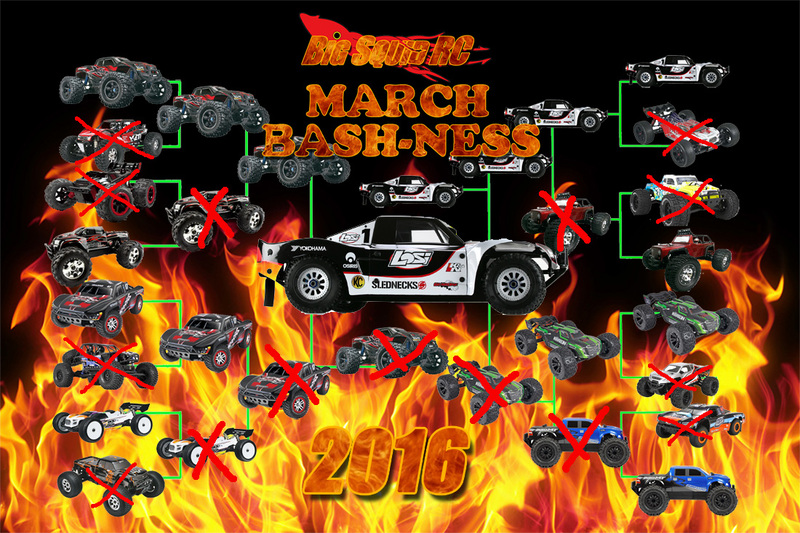 The lead changed hands several times throughout the day as Traxxas and Losi fans were out in full force! It was a nail-biter to the end. We set a record for the most votes in a final competition with 7,333 total votes. Woo! Congratulations to Horizon Hobby and the Losi 5IVE-T for an amazing win. They also pulled off the incredible feat of being the first vehicle to win two separate years! Special thanks to all of our incredible readers who poured in the votes! It was another exciting year while watching your votes actually count towards the winner!